We all hear so much about the bad effects of suffering but as therapists (and human beings!) 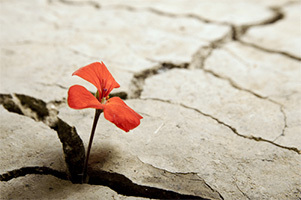 we would do well to remember the opportunities for growth that personal adversity can offer. We should never deny or downplay the impact of suffering, but part of the impact may be personal growth, and we shouldn’t deny that either. We can help clients to experience post-traumatic growth and feel better about their lives by establishing a sense of benefit (however hard that might be to see at first) from their current or past trials. Once upon a time a downtrodden beggar, nothing to the world and soon forgotten dust, through sheer unstinting effort, sprinkled with a good measure of luck, rose in life to become a trusted advisor to the king. And such were his qualities of honesty and wisdom that he soon secured a place smack bang in the heart of the king’s affections. But as everyone knows, favourites attract resentment, and a jealous tide began to swell. The advisors whom the new man had displaced began a poisonous whisper plot to sabotage his position. They spied on ‘the king’s beggar’, as they disparagingly dubbed him, to see if they could find a way to catch him out. Their luck was in. Every night, in his wonderfully furnished apartment in the palace, they watched him go into a certain antechamber, where he would remove some bricks from the wall, and then stare at something he was obviously hoarding there. Very suspicious! Soon, like viperous smoke, their evil insinuations sinuously crept their way into the king’s ear. They more than hinted that there was ‘evidence’ that the king’s favourite was stealing the royal wealth, hoarding it away, and gazing at it with glee each night. The king would hear none of it… … at first. But then the sparks of doubt, fanned as they were by the jealous courtiers, took hold and were pretty soon burning wildly in the royal heart. How could this favourite whom he had trusted so much have so deceived him? And at last one night the king could bear it no more. He strode into the luxurious apartment he had himself given him, and confronted the man who had once been a penniless beggar. So the one-time beggar prised certain loose bricks out of the wall and revealed… a pair of the most tattered and dirty old shoes the king had ever seen. Relieved to find no stolen treasure, His Majesty was still perplexed. “Why do you come here each night to stare at a pair of worn out old shoes?” he demanded. The former beggar looked at the king with level eyes and said, “Because it is not despite having come from beggarly beginnings that I am able to fulfill my duties for Your Majesty, but because I was once a beggar. Begging taught me the true value of patience, faith, trust, and hard work and the inner value of people over outer appearances. The time in my life from which these poor broken sandals come taught me to see people clearly, to see both their generosities and meannesses, to have resilience, but also strategy. We seldom now talk about ‘character’ and how character is built or strengthened through experience. We are more likely to talk of how adverse experiences weaken. Experiences, like commercial commodities, are seen as desirable or undesirable rather than as toughening, or as opportunity for the development of wisdom. This is a great shame, and we disserve our clients if we ‘steal’ any sense of the good bad experiences can bring. Human emotional distress has been so pathologized and medicalized that it has come to be seen as something that should be eradicated altogether. But if we really can only gain certain kinds of wisdom from adversity, then the (impossible) aspiration for us all to be ‘happy’ all the time might actually be having a weakening effect on the human race. 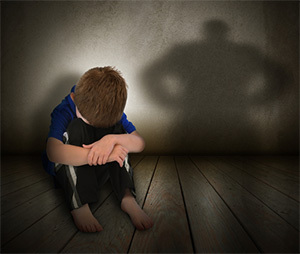 Clients can come to feel ashamed of previous episodes of depression, or even of having had disadvantaged childhoods, as if any admission of not being perfect and ‘normal’ is blameworthy. The meaning people place upon their experiences determines how empowered or disempowered they feel with regard to their personal history. The worst scenario is when someone feels they are ‘damaged goods’, unequal, inferior, because of what happened to them in the past. It’s important to think in an ‘antifragile’ way sometimes. The writer Nassim Taleb coined the term ‘antifragile’ (2) – meaning someone who is not just resilient to a stressor but actually benefits from it. Wolff’s Law (3) describes how bones are not just resilient to the stress of weight bearing but strengthened by it (up to a point, of course). Street kids in Mumbai learn to live by their wits, learn to think strategically, have to maintain hope against all odds – these are strengths from adversity. Of course too much adversity can weaken us with overwhelm but even the weakening effect may only be temporary as the person comes through it and resumes gaining in strength. It’s vital to help our clients lift depression and overcome addiction and PTSD and so on, but at the same time we can help clients focus not just on what they’ve lost through disadvantaged pasts but what they may also have gained in some way. We’re not trying to convince people that the trauma or hardships they endured were actually a good thing, but rather that they carry some kind of learning ‘nutrition’ that can be helpful and strengthening and may not become active until long after the events. This can help people feel more confident, less like ‘damaged goods’. So here are three therapy strategies to help your clients benefit from ‘post-traumatic growth’. 1) What did they learn? You sometimes hear people saying things like: “If only that hadn’t happened!” or “Why do bad things happen to good people?” And that kind of thing. Perhaps we are here to learn. I sometimes talk to my traumatized clients about ‘post traumatic growth’. I do this only after we have stopped flashbacks and nightmares, of course, because otherwise it would seem like trying to put a positive spin on what still feels too awful. Ask your client what they have learned about life and themselves from their experiences. If you have deconditioned a trauma with the Rewind Technique, you might ask your client to consider both what they learned from the trauma itself and what they can now learn from overcoming it. For example, if someone has felt intense fear and flashbacks from 20 years ago, but no longer does so after your treatment, then they’ve learnt that what felt stuck and immovable wasn’t stuck and immovable, and that everything can improve even when it feels like it never can. This is a massive learning. If you’ve had PTSD removed then you’ll be grateful for the rest of your life for a ‘normal’ day. If someone was depressed for a long time, the ‘lesson’ from that might be that they now know clearly what their emotional needs really are and can respect themselves enough to meet those needs better in future. As with most things, timing is vital. Asking someone who’s just come in your door wanting to tell you their woes what they have learnt from their adversities might break rapport at the very moment when what they need is to be listened to. But along with other interventions, the “What have you learned? '” question can help the meaningless produce meaning. It is during a crisis that we really learn what is important to us, what really matters. As with Tip One, we can talk to our clients about how adversities of all kinds can lead to opportunities for growth as the desperate ‘something has to change’ crux point is reached. All fear is about expectation of loss. When you feel you have already lost and there is now nothing to lose then, strangely, fear can subside and real gains can be made. One client drew a blank when I asked him what his latest depressive crux point had enabled him to do, until he suddenly said, “Well, I became so desperate I thought I would try hypnotherapy. So I have come to you for help!” A back handed compliment, it’s true, but it illustrates that necessity is the mother of invention and so is desperation. And from desperation growth can happen. I’ve suggested these before, but I make no excuse for repeating myself here, because they work so well. Again I would emphasize that the aim is not to convince our clients that what happened to them was ‘good’. We just want to help them, where appropriate, feel they can benefit in some way from what happened to them, to use the ‘roughage of life’ (as Dr Milton Erickson called problems) to provide some kind of nutrition for them in the form of better judgment, more wisdom or resilience in the present and future. When people are depressed, anxious, jealous or angry they use their own imaginations against their own (and other people’s) best interests. By using therapeutic metaphors we help people use their imaginations constructively. And we might also tell someone the story of ‘the king’s beggar’ when it comes to helping people grow, not in spite of but because of their past – however bad it was. This story is adapted by me from a Sufi story, and I am compelled to mention that Sufis assert that their teaching stories contain multiple layers of meaning, many of which lie deeper than the surface or obvious ‘moral’ or ‘punch line’ of the tale. See Idries Shah’s The Commanding Self. See Taleb’s wonderful book Antifragile: Things That Gain from Disorder.